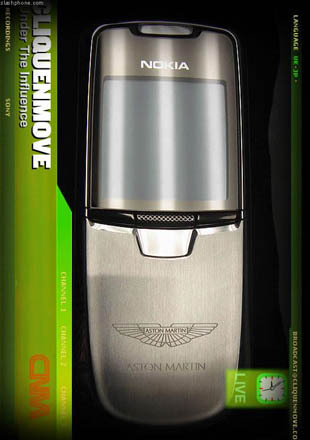 Nokia 8800 Meets Aston Martin | OhGizmo! The Nokia 8800 has been out for some time now. It’s gorgeous, it’s thin… long legs and all that. And now, the stainless steel beauty is getting stamped with the Aston Martin name in what looks to be like a limited edition (to 250 units) co-branding run. Not a whole lot by way of details on this. The cell is already pretty freaking expensive, and the Aston Martin name on it, coupled with the limited edition schtick is likely to push the price into the right-hand-cutting, soul-mortgaging league. Also known as pocket change for some of us.